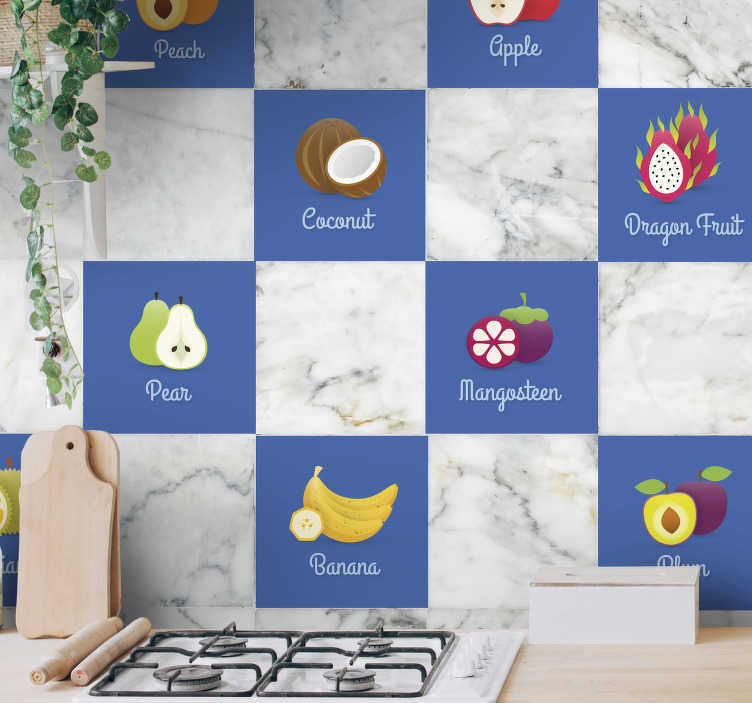 A creative set of stickers with different fruits to give your kitchen a new look and atmosphere. A unique design from our tile stickers for your kitchen. A great way to personalise your kitchen and give this important place a new appearance that everyone will love. Your family will love the new decoration! You can apply this fantastic decal on any smooth surface. These fruit stickers are easy to apply and remove. These leave no residue upon removal. Available in various sizes.